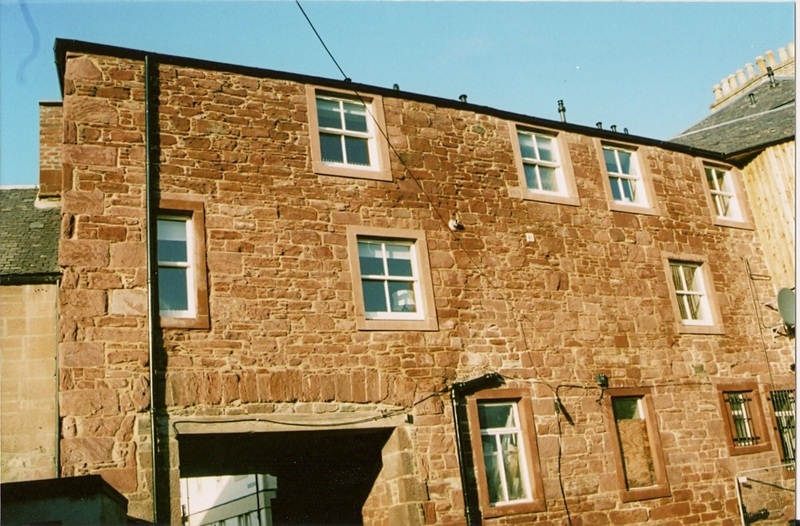 Due to the amount of stone removed to install the six windows in this wall, very little of the elevation is now original. 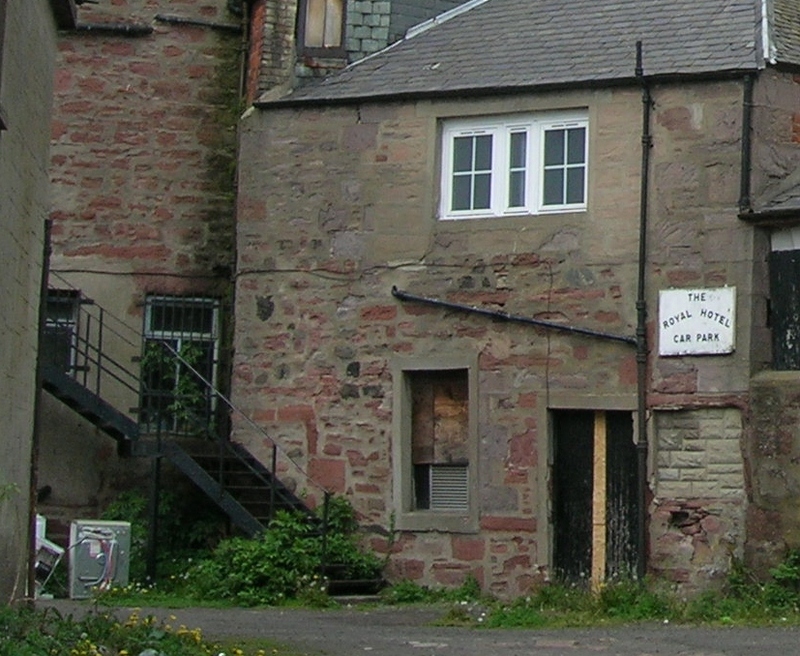 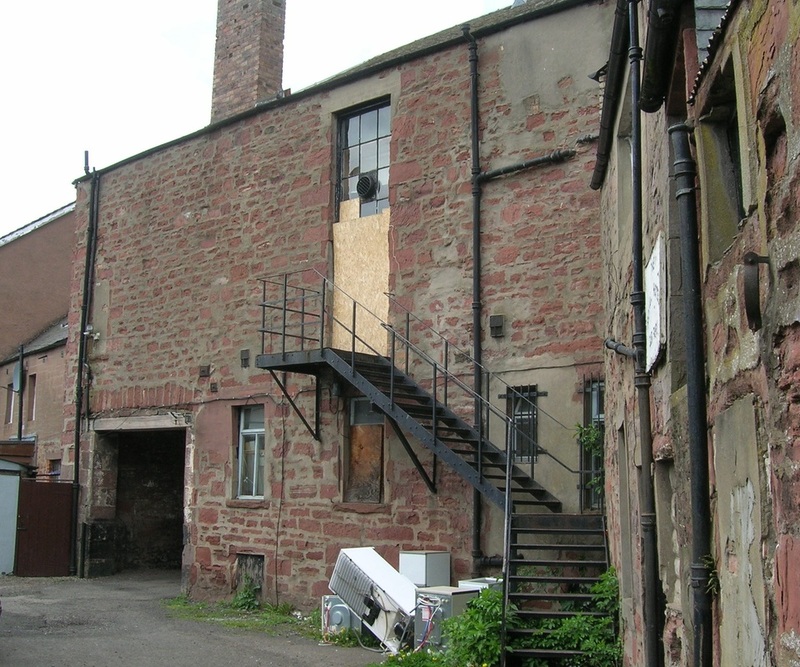 The stone removed was used to rebuild around the windows and to block in the door once the fire escape had been removed. 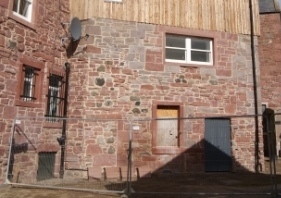 The stone was cleaned, the cement pointing raked out and the wall was once again repointed in lime.